When patients require the care of an Internal Medicine specialist, their condition is usually fairly complex. We encourage family involvement as an important part of the healing process and have extended visitation hours. For patients who are admitted to our Intensive Care Unit (ICU), we offer an integrated service given by a team of physicians who specialize in comprehensive care of the critically ill.
Our Department of Internal Medicine combines the science of evidence-based medicine with a patient-centered focus. We seek to cure and monitor your condition but also to alleviate the stress and anxiety associated with the illness through a multi-system approach. We believe in biological, social and emotional healing. 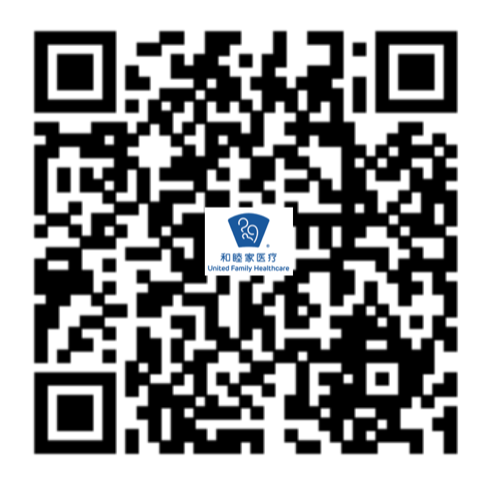 The Department of Internal Medicine at Beijing United Family Hospital and Clinics comprises gastroenterology, cardiology, pulmonary, oncology, nephrology, endocrinology, neurology, rheumatology, ICU, hospitalists and infectious diseases. Each of our specialties is overseen by experts within each specialty who—together with nursing teams, specialized experience and pain management services—provide comprehensive care to our patients. We are committed to providing compassionate, professional care and treatment services. To better meet the needs of our patients, the Department of Internal Medicine’s walk-in clinic is now open. If you are an adult with fever, diarrhea, cold, shortness of breath, asthma, cough, or chest pain, no advance booking is necessary – our walk-in clinic is available for diagnosis and treatment. For more than 10 years, Beijing United Family Hospital and Clinics (BJU) has provided the full spectrum of cardiovascular services for patients from the international and Chinese communities. We have successfully treated and diagnosed more than 20,000 cases of common cardiovascular diseases, including coronary artery disease, hypertension, atrial fibrillation, superventricular and ventricular tachycardia, atrial ventricular block, heart failure and hyperlipidemia. We are committed to using internationally-accepted, evidence-based strategies for treating and diagnosing Acute Coronary Syndrome (conditions include unstable angina, non ST elevation myocardial infarction, and ST elevation myocardial infarction). We are proud to follow international guidelinesfor rescuing patients with life-threatening heart attacks, and we enjoy a reputation of trustworthiness and professionalism among the international community. We are also proud to be leaders in the field of Stress Echocardiography (a non-invasive procedure for the early detection of coronary artery disease) in China. The cooperation between BJU and Anzhen Hospital (a renowned cardiovascular center in Beijing) helps us ensure that all heart diseases can be effectively addressed and treated with the attention of experienced physicians using the most sophisticated techniques. Our Cardiology team has two full-time cardiologists and five part-time cardiologists who each have more than 15 years of clinical experience and overseas training. The Diabetes Center boasts an experienced diabetes/endocrine specialist, nurses who specialize in diabetes care, a Registered Dietician, and other health support staff. The center’s cutting-edge techniques, advanced equipment, and quiet and comfortable environment enable us to give our patients the highest quality of care. The Center’s services include routine examinations for diabetes, treatment programs, prevention and treatment for acute diabetic conditions, continuous subcutaneous insulin infusion (CSII), continuous glucose monitoring system (CGMS), pancreatic function test (insulin secretion test), assays of islet autoimmune antibodies, and screening for chronic diabetic complications for various organs (including eyes, kidneys, and neuropathy). At the same time, the Center cooperates with many other departments in BJU to provide treatments and follow-up for multiple chronic diabetic complications. At the Diabetes Center, patients have access to not only diabetes therapy, but also to comprehensive healthcare and lifestyle counseling. We do our best to help you live your best life. The Endocrinology team at Beijing United Family Hospital and Clinics is comprised of expert endocrinologists, diabetic nurses, and specialists from Peking Union Medical College Hospital and Anzhen Hospital. Endocrinology services are available by appointment from Monday to Saturday. Consultation and treatment are provided to patients in a timely manner, as are referrals from other departments in our hospital. In the event of an endocrine emergency, inpatient and specialist care are provided. Our Diabetes Center has an experienced team of diabetes specialists and diabetic nurses. We have advanced equipment, including CGMS, CSII, body composition analysis, and 24-hour BP monitoring. The Center cooperates closely with multiple departments in Beijing United Family Hospital and provides evidence-based medical care for those with type 2 diabetes (T2DM), type 1 diabetes (T1DM), and gestational diabetes (GDM). At the same time, we also provide tailored, individualized medical care for those with special types of diabetes. In January, 2015, the Diabetes Center will launch its Living with Diabetes Program (LWD) with the mission of improving quality of life by assisting an even greater number of diabetes patients to receive regular follow-up treatment and improved diabetes management. With the incidence of thyroid disease on the rise, our hospital treats a high volume of such patients, cooperating closely with our Department of Obstetrics and Gynecology to provide medical care for pregnant women with thyroid disorders. Our Endocrinology team has extensive experience in treating a wide range of endocrine disorders, including diseases of the hypothalamus-pituitary, gonad, adrenal gland, metabolic bone disease, and obesity. With the development of an endocrine disease center for adolescents set to open in the near future, Endocrinology at Beijing United Family Hospital looks forwards to expanding services and offering even better multidisciplinary care. Our ID staff works in close collaboration with our outpatient clinics, inpatient services, Emergency Medicine Department, and Infection Control team to assist with diagnosis and treatment of infections and establish appropriate patient-specific treatment plans (including choice of antimicrobials, duration of treatment, etc.). Our objective is to provide the most appropriate treatment, minimize any possible complications of therapy, and do our part in stemming the worldwide overuse of antimicrobials, which has led to increasing pathogen resistance to the drugs we use to fight them. It is important to know when antimicrobials are needed and when they are not. Cerebra vascular disease. We offer Green Channel service for acute cerebral vascular disease and have a standard stroke unit ward and intensive care unit (ICU) available. We can diagnose and treat cerebral infarction, intracranial hemorrhage, subarachnoid hemorrhage, thrombosis of intracranial venous sinus, and interventional therapeutic thrombectomy with the assistance of a neurosurgeon. We promote the early screening of cerebral vascular disease, especially for the young and middle-aged. If stroke does occur, our Nephrology service offers world-class rehabilitation treatment plans tailored for the full range of stroke and complications. Our team of experienced specialists can diagnose and treat a broad range of acute and chronic headache, facial pain, neuralgia, dizziness and pain caused by psychological issues. We offer etiology screening, diagnostic classification, and scale assessment. Both standard and personalized diagnosis and treatment are available. Neurology at Beijing United Family Hospital and Clinics specializes in sleep disorders and our team has extensive experience with the full range of insomnia, obstructive sleep apnea, restless legs, and other related issues. Our Sleep Lab is staffed by specialists and trained nurses. In addition, we offer polysomnography (PSG) examination, early screening, standard treatment, and sleep health education. We provide early screening, scale assessment, treatment, and long-term follow-up care for Parkinson’s disease, Tourette syndrome, chorea and the full range of dementia. We also provide international-standard diagnosis and treatment for encephalitis, meningitis, myelitis, and demyelinating disease such as Green Barry syndrome and multiple sclerosis. 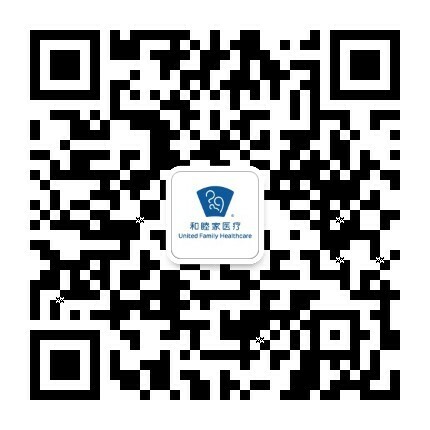 Beijing United Family Hospital will soon offer epilepsy services. We have assembled a team of some of the foremost epilepsy experts in China to provide the highest standards of diagnosis and treatment for our patients. Neurology outpatient services are available every Monday to Saturday. We firmly believe in early screening and prevention of neurological disease. Every step of our assessment and treatment plans are based on international standards and guidelines. What is rheumatology? When you hear “rheumatology”, you may think arthritis and joint disease, but rheumatology is in fact a broad field that also diagnoses and treats diseases of the muscles and bones. Rheumatology is a subspecialty of Internal Medicine whose primary focus is connective tissue disease, with clinical symptoms that include lesions of the various joints, muscle, skin, mucosal soft tissue, vascular inflammation, vascular tissue, kidney, and lungs. It is therefore a field that has close ties to dermatology, ophthalmology, ENT, orthopedics, neurology, endocrinology, pulmonary, nephrology, gastroenterology, hematology, and others. When should I consult a rheumatologist? Joint pain: Pain in joints and related soft tissue is very common, and includes neck and shoulder pain, back pain, heel pain, joint swelling, various forms of arthritis, gout, and more. Muscle pain, muscle weakness, and muscle atrophy. Skin and mucous membrane issues: Skin with erythema, pigmented macula, depigmented macules, cutaneous nodules (lumps), skin ulceration, and sensitivity to light. Mucous lesions: Oral ulcers, dry mouth, dry eyes, repeated conjunctivitis of an unknown origin, and general eye irritation. Raynaud‘s phenomenon: Fingers turn white and gradually purple in response to sudden cold or emotional stress. Fever of unknown origin (FUO): Fever is a common symptom of rheumatism and includes low grade fever, moderate fever, and high fever. Lab tests of blood and urine that are abnormal and cannot be clinically explained.